Finally! 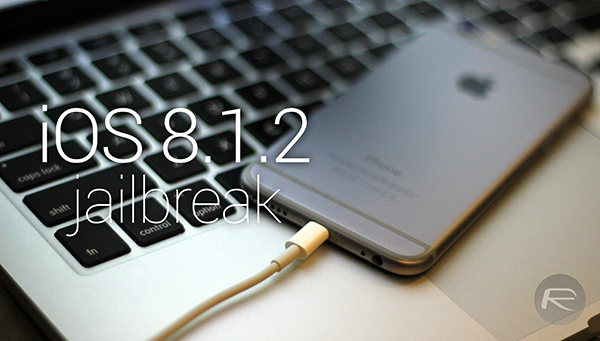 A new tool named iOS 8.1.2 PP Jailbreak for Mac OS X is out! It supports all versions of iOS 8.x, including the latest 8.1.2, on all iPhone, iPad and iPod touch devices. Backup your device using iTunes or iCloud. Restore to stock iOS 8.1.2 firmware using iTunes. You can download iOS 8.1.2 from here. Disable Find My iPhone and any Passcode or Touch ID set on your device. Step 1: Download the all new PP Jailbreak for Mac OS X from here. Step 2: Untick / uncheck PP checkbox found at the bottom left hand side. Step 3: Click the big jailbreak button in the center. Once you do that, the tool will take you to another screen, here click on the button on the right (not left) to continue the jailbreak process. Step 4: Jailbreak process will now begin. Wait and let it do its thing. This process can take about 1 to 2 minutes max. 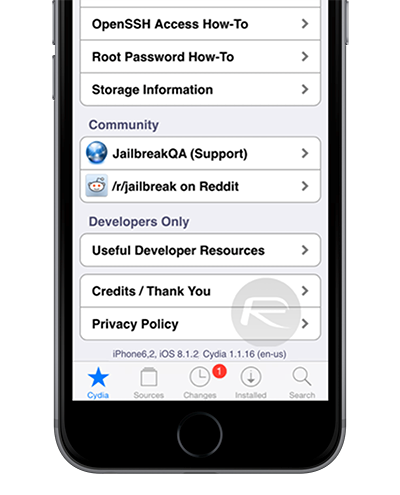 Once done, your device will reboot and you will find Cydia on your iPhone or iPad’s home screen. That wouldn’t be because of the program, but the tweak you downloaded, sorry bud. This is all on you. No but the taig jailbreak is for windows. did you UNCHECK the box on the bottom left? then press the right side button. all done. wait 1 minute and your jailbroken. Make sure you turned off iCloud, Find My iPhone and your passcode. Then follow the steps above. DO NOT DOWNLOAD AND USE THIS PROGRAM. I downloaded it, everything seemed fine, Cydia downloaded, I added all extra sources but as soon as I downloaded a tweak and a package and restarted the springboard, my iPhone went to a black screen for about 5 hours, I tried every reset so I put it into recovery mode. It may be just the tweak I downloaded but I would not risk it. 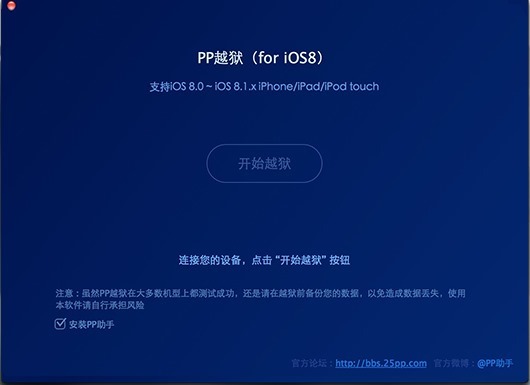 Just wait on Pangu to release a 8.1.2 jailbreak. Did this happen to anyone else? If not, then it may be the tweak I downloaded. What happens if I forgot to uncheck the box? I can’t click the big jailbreak button in the middle, like the instructions say. Besides clicking on the PP box and the links at the bottom, clicking anywhere else in the window doesn’t do anything. What am I doing wrong? Tried to jailbreak my phone on IOS 8.1.2 and the application kept crashing and wouldnt work. hes dumb …i have but iphone 6 plus jailbroken after i bought it brand new …i jailbreak it when it was 8.1 with panngu team…then they released 8.1.2 taig team …rejailbreak it ..just to test it …guess what..? is working flawless..!!!! Do xCode also should be closed? This works perfectly fine and it worked the very first time. I messed around with the TAIG for Windows JB on my Windows 7 Bootcamp version and it kept giving me an error message that it could not find the Apple iTunes driver. Finally got sick of that cycle and went to download PP for Mac. Followed instructions as outlined in article and highlighted by Byron Morris. Since this is one of the new kids on the block, I highly recommend installing Firewall iP7 so you can see all network traffic. Enjoy! So, don’t use the jailbreak because YOU downloaded something you didn’t know what it did or got it from a bad source, yet you don’t know which tweak? Sounds like you should refrain from jailbreaking… until you actually know what you’re doing. why isnt there hardly any tweaks to download on cydia? i am new to the jailbreaking world. But I was able to jailbreak my iphone from these instructions. It didn’t happen to me, as an experienced user of jailbreak I find that some tweaks do cause that to happen, so unfortunately you have to reset to factory settings in order to have this issue resolved. The issue I have with the PP jailbreak is that the jailbreak worked seamlessly however I cannot download winterboard or other tweaks because I lack preferenceloader, does anyone know how I get said function? Does this jailbreak also do a baseband unlock? What? No! That statement is half a decade old, man! Jailbreaks do not unlock the phone. You need to opt for a proper unlock either from the carrier or from an online service. BTW, no, you don’t need to do that. Just remember to disable passcode and Find my iPhone before hitting the jailbreak button. I found the answer! woo..
manually remove all fingerprints that have been added with touchID. I got this as well. What did you do to make it work? I did but I’m still getting it. Any other suggestions? Nevermind, I hadn’t disabled passcode. have no idea why but try both – same thing happened to me. had the exact same issue and gave up a couple days ago. did it again today and all I did was disable find my iphone, disable my passcode, put my phone on airplane mode, then reset it. worked perfectly afterwards.